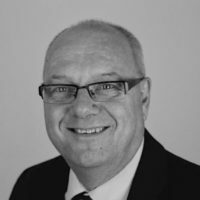 Bruce has over 20 years of experience in retail management, excelling in business planning, strategy development and process improvement. He is a leader with strong business acumen and well-developed analytical skills that transform into powerful operational business planning focused on people. Bruce helps clients to develop and manage strategic, cultural and structure changes within organizations or cross functional teams. He has a recognized ability for strategic development and performance management planning that deliver measurable and sustainable results. Responsible for national specialty store retailer e-commerce fulfillment setup, organization and implementing system based approach to maximize the picking process across three national brand portfolios. Developed a product and space management strategy to maximize inventory productivity while developing brand DNA across national and private brands based on local demographics for a leading men’s specialty store chain. Supported Senior Management on the acquisition of Jones New York Canada. Responsible for various inventory management activities, warehouse management, price strategy and markdown cadence. Liquidation Project Manager for a national retail chain. Responsible for reviewing and accessing business opportunities with vendor base and made the necessary decisions on how to exit the business profitably. Developed a comprehensive national “garden centre” business model incorporating assortment planning, product development, localization, replenishment, merchandising, staffing, and profit. Achieved 16% sales growth and 68% profit improvement. Developed a localization incremental sales strategy for 76 stores in Western Canada. Provided leadership, direction and support for all local purchases and in assortment intensification opportunities to maximize sales and profit. Achieved over $75 million incremental growth in four years. Represented the needs of store operations, the buying office, and distribution on a Head Office team assembled to stabilize and enhance a major computer system that had been implemented to support growth in major home fashions, but was causing critical problems in the supply chain and sales processes. Facilitated training classes for sales managers and associates across Western Canada for the major home fashions division. Contributed to the development of sales associate training programs and leadership training programs, as well as service protection training and sales processes, that was subsequently rolled out across the country. Assigned to turn around a major home fashions division in Western Canada that was struggling with declining sales, low staffing levels, and poor morale. Increased sales from $80 million to $87 million. Managed up to $108 million in sales from all full service businesses in eleven stores in Calgary, Southern Alberta, and the interior of BC. Mentored and coached regional managers on the business model and processes. An accredited affiliate with Resource Associates Corporation (RAC), a world-class leader in the areas of business and management consulting, life/business coaching and training and leadership development. Certified assessment trainer on D.I.AL.O.G. (Data Indicating ALignment of Organizational Goals), an organizational assessment tool that provides information as to how well critical elements are working together to achieve business and strategic goals. Are All Entrepreneurs the Same?